You need a new hot tub cover, but you have been putting it off. The idea of having to measure your hot tub accurately makes you break out in a cold sweat. Don’t worry, you are not alone. If only hot tub covers were a one size fits all. Unfortunately, they aren’t. Hot tubs come in all different shapes and sizes. Follow this guide to learn how to measure your hot tub the correct way once and for all. We, at The Cover Guy, want to ensure you are confident when ordering your next hot tub cover. For more information about how to measure your hot tub, follow this link. You have to be mindful when measuring your hot tub for a new cover. If the cover is too big, you’ll end up losing water from condensation. The cover could also easily break around the edges and a strong wind could even lift the cover right off your tub. On the other hand, if the cover is too small you can lose heat, you won’t have a proper seal, and the acrylic won’t be protected. This is not meant to scare you off, but rather explain the importance of a properly fitted cover that will protect your spa for years. We will go over the most common spa shapes and explain how to accurately measure each one to get that perfectly snug cover. Those radius corners make you nervous. We know. Don’t worry, we have you covered on how to measure those too. Before we get started, it is important to bear in mind that If you have any permanent add-ons, like speakers or a waterfall, you will have to include them into your measurements, otherwise, these parts will not be protected. Remember that the cover will fold in two. For every cover company, the measure A will be the one where the fold will be. What tools will you need to measure your hot tub? We recommend that you ask for help before getting started. It never hurts to get a second pair of eyes and hands on a project like this. Sure, you can do it yourself, but you won’t regret getting additional assistance. You may be inclined to simply re-measure your existing cover. Why not, right? It’s there, it fit well (until it didn’t), what’s the problem? After a few years of good use, your old cover is probably loose, or maybe it was too tight this whole time. Either way, there is a reason you are looking to change your cover, so please do not use your old cover as a reference. Always take the measurements directly from your hot tub. For all shapes and sizes of hot tubs, you have to measure one extremity of the acrylic mold to the other. If you have a wooden frame, do not measure the wooden frame. Your hot tub cover will be too large. We, at The Cover Guy, suggest adding an inch to your width and length to allow for an easier fit. So, for example, if your measurement is 77” make it 78” so you have ½” per side for wiggle room. Do not add anything to your radius measurement, however, that has to be precise, and if anything, round down. So if your radius is 5” you can get away with 4” radius, but a 6” radius will make your hot tub cover too tight. We recommend you draw the shape of your spa, including the radius, on a piece of paper and then write down the measurements to help guide you. Measure the skirt length. Here is a video on how to measure your Skirt. The circular hot tub is certainly the easiest one to measure, with only 2 measures to take : the diameter and the length of the skirt. The diameter is the line from the very outer edges of the acrylic surface, including any flare-outs. 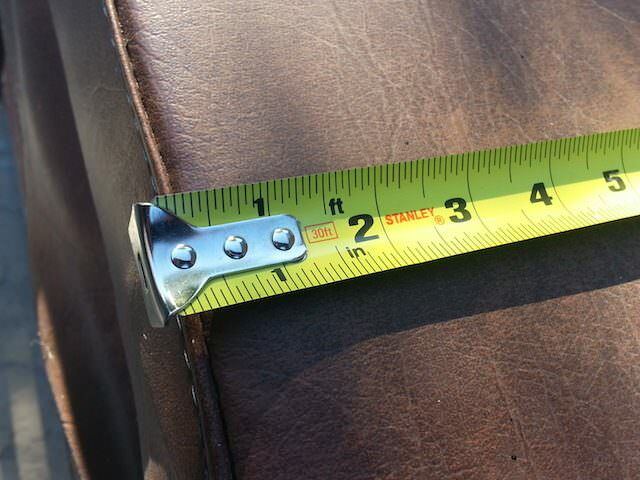 Try to get this measurement in the very middle of your hot tub, right where the seam should be. The length of the skirt is the measurement from the top of the acrylic mold, to the top of the wooden rim. 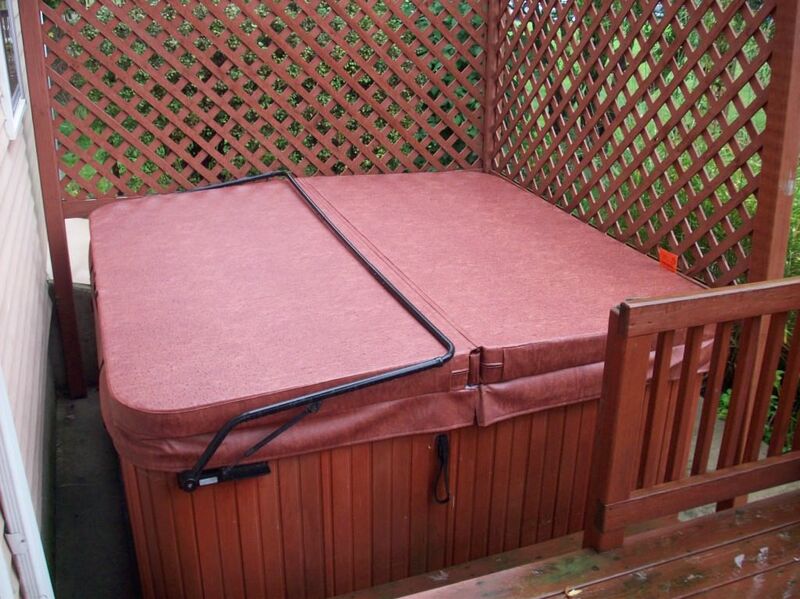 Measure the length and width of your hot tub, through the center or along the edges. Technically, a square hot tub will be equal on both sides. We recommend, however, that you measure both sides, just to be sure. 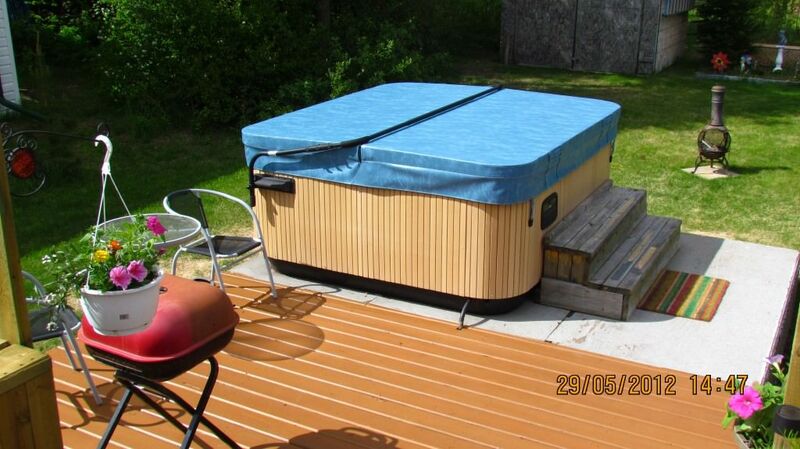 These are the same as the regular square and rectangular hot tub covers, except they have rounded corners. Measure the length and width through the center. Here is a video that shows you how to measure your spa radius corners. For more unusually shaped covers, especially asymmetrical ones, The Cover Guy will typically already have the measurements or templates on file. If we do not, then you can submit a new template. We can guide you on how to do so. Here is a good example of a custom oversized cover made by The Cover Guy. 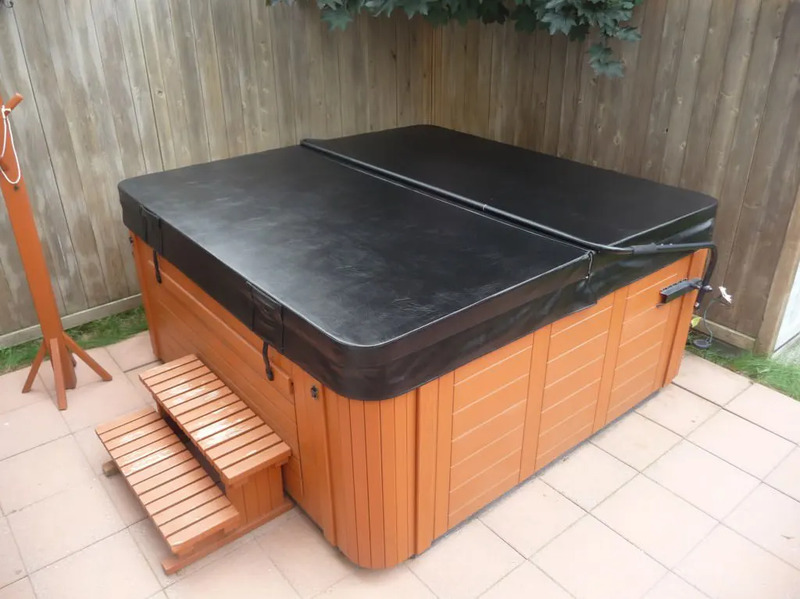 Adding a cover to your hot tub is essential and it is important to measure it accurately to get the right fit. When in doubt, re-measure or get that friendly neighbour to double check. Take the measurements on the acrylic mold (diameter or length and wight). Measure the radius (usually by multiple of 2 : 2 inches, 4, 6, 8 10, 12). Decide on the axe you want the cover to fold. That axe will be measure A when you order. Decide on the length of the skirt. Remember that you can always contact us if you need any help. Email us at info@thecoverguy.com or call us toll free at 1-866-652-6837. There is always a hot tub cover specialist here to help you. The Cover Guy has most hot tub measurements on file, so we can always matchup your hot tub with the proper dimensions. You just need to be sure of the brand and model of your hot tub.